Hillians goalscorer, Tommy Wood and partner in crime, Ross Murdoch. A late Tommy Wood header salvaged a point for the Hillians in a frustrating afternoon at the Green Elephants Stadium. 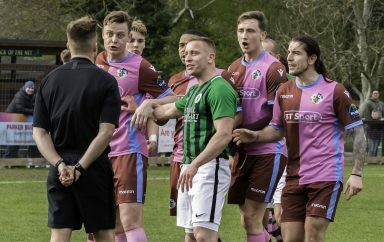 Simon Wormull made just the one change to the side who beat Corinthian-Casuals last Saturday, with Boris Kipeya-Bonno replacing Charlie Bennett. The game started with a collection of arial duals, as both sides struggled to get the ball down and play. In the 11th minute, Aaron Smith-Joseph forced a smart save from James Bradbrook in the Regent net. Three minutes later, Josh James produced a similar save to deny Josh Gould’s powerful header. The 28th minute saw a nasty coming together between Tommy Wood and Bradbrook, but both men dusted themselves off and returned back to their feet. In the 32nd minute, Joe Felix worked himself some space down the right, before delivering to Wood, who’s faint touch was somehow blocked by the thankful Bradbrook. Both Dan Beck and Ross Murdoch had chances to give the Hillians the lead going into the break, but both squandered their efforts. 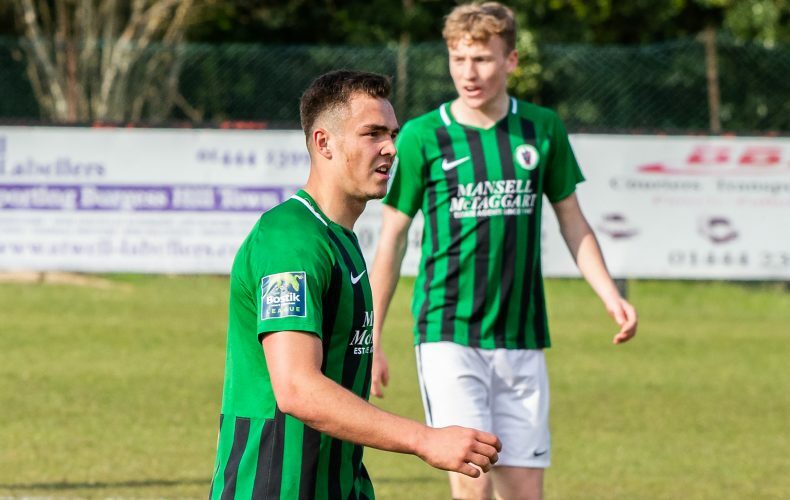 In the 44th minute, completely against the run of play, Jake Turner’s long-ranged effort caught James off-guard and ricochet off both posts before trickling into the back of the net – sparking complete silence around the Green Elephants. The Hillians knew that chances would continue to present themselves, it was just a matter of taking a couple! Just two minutes into the half, Smith-Joseph breezed past Ricky Griggs before finding Murdoch, who just couldn’t get his strike away. In the 49th minute, James produced an excellent save to deny Joe Yaxley from making it two. Eight minutes later, Beck’s header flew just wide of the target, before Murdoch, in identical fashion, put his header just the wrong side of the post. In the 62nd minute, Simon Wormull introduced Pat Harding for Tolulope Jonah in search of an equaliser. James was sharp off his line, in the 69th minute, as he spread himself well to thwart Yaxley. In the 75th minute, a scramble in the Regent box was somehow cleared to safety, before Felix produced a strong save from Bradbrook low down to his left. As the referee indicated three minutes added time, Felix did superbly to jink past Griggs before delivering a floated cross into the area, that man Wood rose highest and powered his header past Bradbrook – making it five goals in three games for the big man. 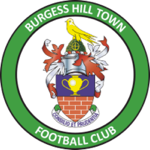 The Hillians pressed for a winner, but were left to rue a series of missed chances throughout the ninety minutes. In the end, a good point for the Hillians, but you have to think that the performance warranted all three. 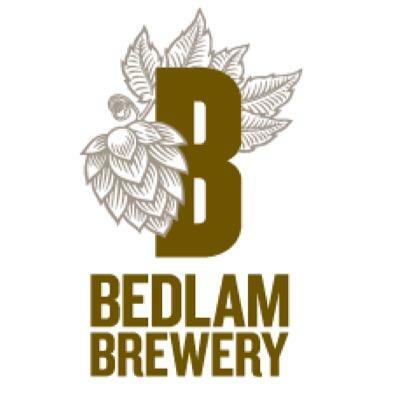 Our match sponsors, Bedlam Brewery, awarded Cheick Toure with the Man of the Match. 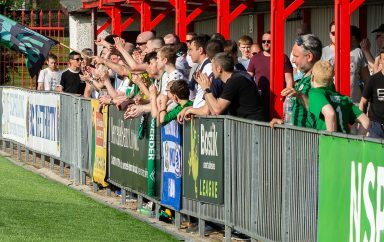 A massive thank you to all you Hillians who turned out to support the club yesterday afternoon, it’s certainly going down to the wire and we need your incredible support now, more than ever before! Next up, it’s Good Friday football at Carshalton.